Chronic pelvic pain is often the result of endometriosis, although it can be related to other problems as well. 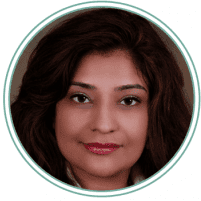 Dr. Smriti Rana of Blessings OB/GYN and Women’s Care in Glendale, Arizona, can diagnose the cause of chronic pelvic pain and help patients decide which treatment options are best for them. Chronic pelvic pain occurs when a patient experiences discomfort in the pelvis without a clear cause. Chronic pelvic pain may be present all the time, or it may come and go. Endometriosis is a painful condition in which some of the tissue that makes up the uterine lining grows outside of the uterus. Endometriosis is most common on the ovaries and fallopian tubes, but it may occur in other locations as well. While some patients with endometriosis may experience only mild symptoms, others have symptoms that disrupt their lives considerably. For many patients, the cause of endometriosis isn’t clear. Some cases of endometriosis may occur because of scars on the uterus, problems with menstruation, or immune system disorders. Risk factors for endometriosis include uterine abnormalities, family history of endometriosis, consumption of alcohol, low body mass index, high estrogen levels, and starting menstruation earlier in life. How does Dr. Rana treat endometriosis? Some patients with endometriosis may be able to control their symptoms with hormone therapy and/or pain medication. If endometriosis is more severe, or if it's preventing the patient from becoming pregnant, Dr. Rana may perform surgery to remove as much of the endometriosis as possible while still preserving the reproductive organs. In the most severe cases of endometriosis, Dr. Rana may recommend a hysterectomy to remove the reproductive organs affected by this condition. What are other possible causes of chronic pelvic pain? Each of these issues requires different types of treatment. When a patient comes in with pelvic pain, Dr. Rana evaluates the patient’s symptoms and medical history to determine what tests are necessary to identify the cause of the pain.